I did just run a less than 10 min mile ! And there’s the proof 🙂 Finally had a chance to use my Christmas present! Mile 2 might have been a little slower, but running against the wind ain’t just an old Bob Seger classic! Now, if I could just get the morning dove to fly out of the garage, I’d be in business! Tune in to Sports Nation tonight on ESPN to see the goon in the front row wearing the chinos and red hat! The teenager is in LA with his auntie on spring break and they are clearly having way too much fun! Someone else had a good run,too! 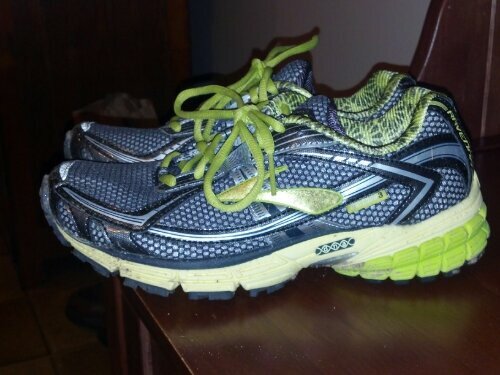 So glad I gave my new Brooks a chance to run off of the treadmill….I’m falling in love with them already. 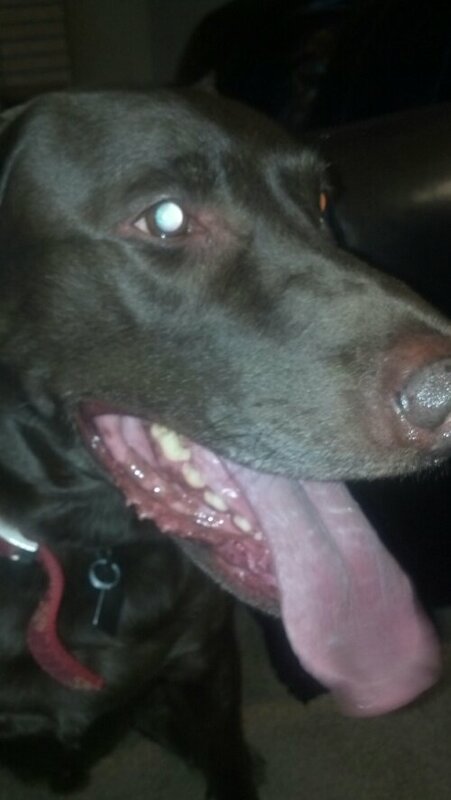 Anyone else run with their pooch? GPS watches, love them or not? Now that I have my GPS watch, I’ve started leaving my phone at home. It’s not the safest but I would get so sick of the phone calls and texts on long runs. I swear, no one would call me until I was running! I almost left my phone home, but figured it would be the one time I trip and break my ankle or something! I don’t like when it’s windy & cold. IF it’s warm, I can handle anything. 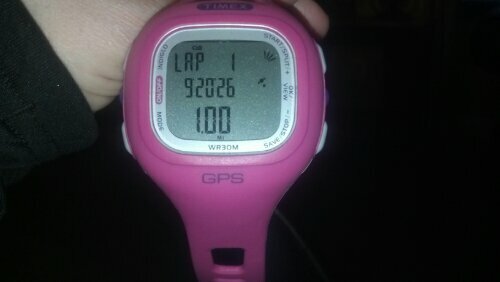 I had a Garmin, but it messed up on my time during a 20 miler & I was so upset, I returned it. Now, I use runtastic, map my run or nike+. Way to go on the 9.20 mile. Woo hoo! Thanks! I love map my run, too!